Award the highest score for the EVOO World Ranking after Mario Solinas and just like two other contests. It is sent to the importers of the zone, with data of the winners. Now in its 12th year and with global media coverage, OLIVINUS's reputation speaks for itself. Its unique qualification process and the quality and experience of its judges will undoubtedly make OLIVINUS the most proven and credible competition in its class. Unlike other contests, it awards full-color diplomas, medals and trophies since its inception. The winning product photo will be uploaded online. 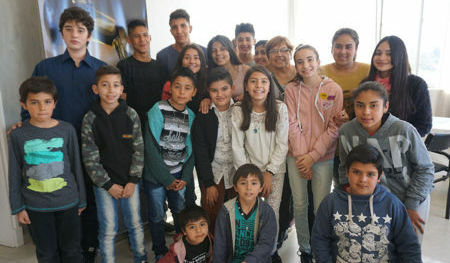 It is the only competition in the world where juries are children and young people between 8 and 14 years old, prepared for one year to act as judges. Give EVOO World Ranking score, mid-level. Rewards the best designs, whether in packaging, labels, group presentations and general presentation. Jurors are professionals in Design and Packaging. Award points for the EVOO World Ranking. 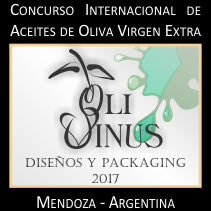 OLIVINUS is the contest NÂº 2 in the world, for EVOO World Ranking, and is the largest and oldest international contest EVOO is done in this part of the world annually (South America, Central America and the Caribbean). Award winners get the biggest amount of points (after M. Solinas) for EVOO World Ranking 2016 also placed stickers on your award points above 86 points, the highest world quality. 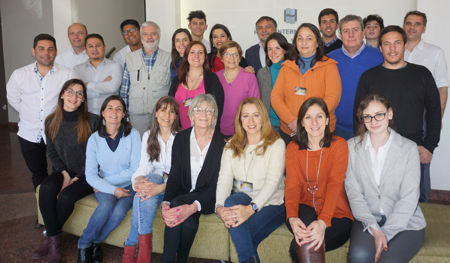 Annually created to create awareness about the beneficial effects of Extra Virgin Olive Oil on Nutrition and Health, it has maintained permanently, a great activity allowing the main Argentine and world experts describe the best EVOO according to their certified quality. Participation is open all the EVOO: Classic, Organic and flavored. They are awarded only those olive oils do not exhibit any defects or negative descriptors. Extra Virgin grants a certification through three levels of awards: Gran Prestige Gold, Prestige Gold and Gold.